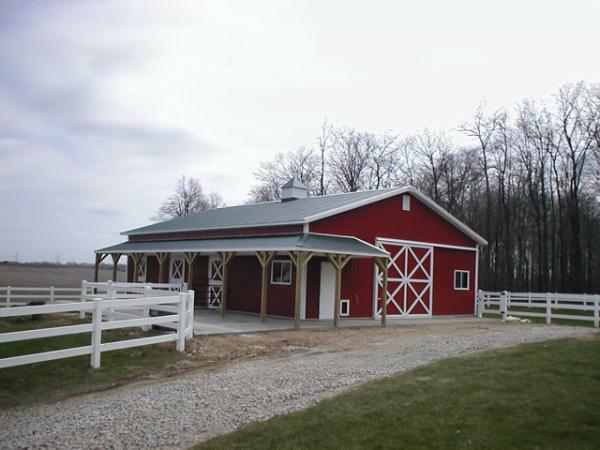 Pacemaker has the experts that you want on your side when the decision comes to build a new equestrian facility aka (Post Frame Building, Pole Barn, Pole Building, Horse Barn, Riding Arena, Stall Barn, Wood Frame, Stable). From a simple barn to an elaborate facility proper design is essential. Our years of design and manufacturing experience will provide you with the expertise necessary to deliver a high quality structure every time. Our buildings are covered with Mesa panel which utilizes GALVALUME® substrate with the proven protection of Kynar 500™ paint system. This rugged coating provides unsurpassed resistance to fading and chalking. This ensures that your building will look like new for decades to come.